Showing 9,048 changed files with 9,063 additions and 9,045 deletions. # Copyright (C) 1991-2015 Free Software Foundation, Inc.
GNU C Library NEWS -- history of user-visible changes. Copyright (C) 1992-2015 Free Software Foundation, Inc. Copyright (C) 1992-2016 Free Software Foundation, Inc.
# Copyright (C) 1997-2015 Free Software Foundation, Inc.
# Copyright (C) 1997-2016 Free Software Foundation, Inc.
/* Default definition for ARGP_PROGRAM_BUG_ADDRESS. Copyright (C) 1996-2015 Free Software Foundation, Inc. Copyright (C) 1996-2016 Free Software Foundation, Inc. Written by Miles Bader <miles@gnu.ai.mit.edu>. Copyright (C) 1997-2015 Free Software Foundation, Inc.
/* Word-wrapping and line-truncating streams. /* Default definition for ARGP_PROGRAM_VERSION. 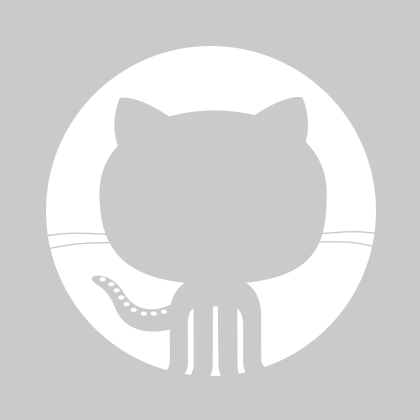 /* Default definition for ARGP_PROGRAM_VERSION_HOOK. /* Hierarchial argument parsing, layered over getopt. /* Copyright (C) 2002-2015 Free Software Foundation, Inc.
/* Copyright (C) 2002-2016 Free Software Foundation, Inc.
/* Copyright (C) 2007-2015 Free Software Foundation, Inc.
/* Copyright (C) 2007-2016 Free Software Foundation, Inc. Contributed by Jakub Jelinek <jakub@redhat.com>, 2007. /* Copyright (C) 2000-2015 Free Software Foundation, Inc.
/* Copyright (C) 2000-2016 Free Software Foundation, Inc.
/* Copyright (C) 1994-2015 Free Software Foundation, Inc.
/* Copyright (C) 1994-2016 Free Software Foundation, Inc.
/* Copyright (C) 1991-2015 Free Software Foundation, Inc.
# Copyright (C) 2013-2015 Free Software Foundation, Inc.
# Copyright (C) 2013-2016 Free Software Foundation, Inc. Copyright (C) 2013-2015 Free Software Foundation, Inc. Copyright (C) 2013-2016 Free Software Foundation, Inc.
/* Benchmark malloc and free functions. /* Measure math inline functions. Copyright (C) 2015-2016 Free Software Foundation, Inc.
/* Skeleton for benchmark programs. /* Measure stpcpy checking functions. /* Measure strcmp and wcscmp functions. /* Measure strcoll execution time in different locales. /* Measure string and memory functions.